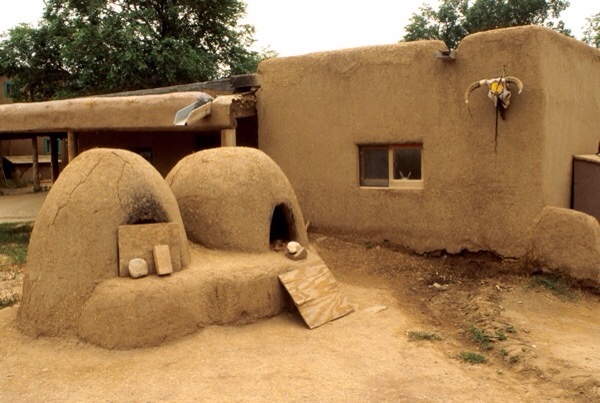 This oven was reportedly still being used in Taos, New Mexico just a few years ago. While it’s impossible to give an exact date for the birth of power-driven appliances, I’ve chosen the Chicago World’s Fair in 1893 as a sensible anniversary. Nearing the beginning of the 20th Century, gas stoves were beginning to make their mark, and this fellow Edison was promoting his electric lightbulb. It was during the Chicago World’s Fair that Josephine Cochran showed her new invention, an automtatic dishwasher. The company she founded later became KitchenAid. After the turn of the century, as electricity began to spread, major appliances began to appear. Early electric washing machines included both Maytag (1908) and Whirlpool (1911). Electric stoves were available, but they were real power hogs, and gas stoves prevailed over electric for decades. A viable home dishwasher was still nearly half a century away. In 1925, the first hermetically sealed, i.e. practical, freestanding refrigerator was introduced. Of course, the Great Depression of 1929 and WWII put a crimp in growth of major appliances. The post war years meant that factories returned to producing home goods, and the 50’s brought on an appliance rennaissance. New automatic washers were matched with automatic dryers. Modern dishwashers were introduced, and new-fangled refrigerators were frost-free (1958). This entry was posted in Appliances and tagged cooking, dishwasher, electricity, frost-free, gas, GE, General Electric, Kitchenaid, Maytag, ovens, refrigerator, Whirlpool. Bookmark the permalink.